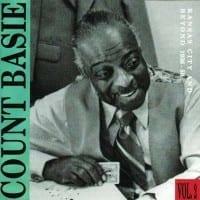 The Count Basie Orchestra's 40 plus year existence had two distinct stylistic phases. 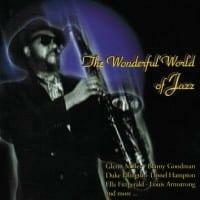 The first, from 1937 until about 1945, centred upon the band's major soloists, Buck Clayton, Harry Edison and tenor saxophonist Lester Young, being showcased against some fundamental 'head' arrangements. The second was from 1952 until the leader's death in 1984. 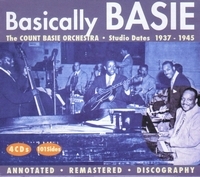 The 101 tracks here illustrate that from its initial studio date for American Decca, the Basie style always had been fluid and flexible, its particular sound at any moment being dependent on the presence of both its solo stylists and its arrangements, contributed by band members and by outside arrangers. To demonstrate the various aspects of the orchestra's output, each of the four CDs is devoted to a different facet. 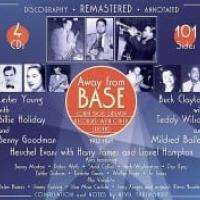 The first covers those early recordings with uncredited scores, or those attributed to a band member. The second highlights scores contributed by outside arrangers, while the third is devoted to the band's vocalists. Finally the set turns to the various small groups, principally recorded under the leader's name. 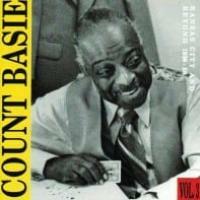 Track Listing: 1. Taxi War Dance – 2:48 2. Live And Love Tonight – 3:03 3. Blow Top – 2:53 4….